look what arrived an hour ago. Thread: look what arrived an hour ago. My new Janome 6600 arrived about an hour ago. It is not set up yet (took me so long to unpack it). I am so excited, it has a large extension table, which you cannot see properly, and lots and lots of new features which I am so looking forward to trying. Congrats, she is a beauty!!!! Congratulations on your new sewing machine purchase. Looks like you will be having fun learning all about the different features, etc.! Looks just like mine! You're going to love her! I really envy you , with your NEW Janome 6600!! She's elegant.. Hooray!! Let the fun begin I have 2 Janomes and love them both. Enjoy. Ohhhh, how large is the throat space on that one? looks good. I know you will love your new machine just as much as I love my 6600. They are so versatile...and what a workhorse! Have fun trying out all the stitches! Congratulations!!! I have one and love it!!! If you have any questions, feel free to ask! Congratulations! 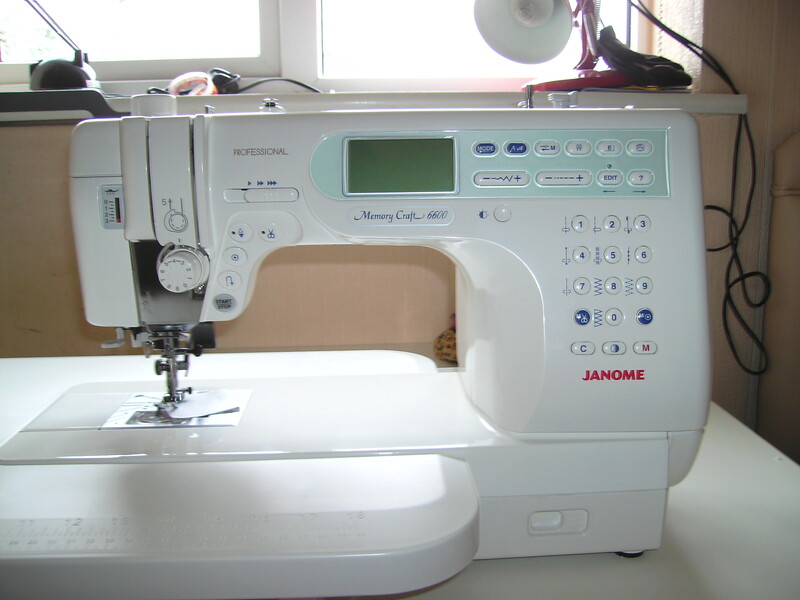 I have two janome machines and love them. You are so lucky. I know you will have many hours of fun with that beauty. Congratulations on your new sewing machine. Love my Janome 6600. Sweet. You will have so much fun sewing! Congratulations on your new toy! It is beautiful! Congratulations and enjoy. I love my memory craft it has so much fantastic things to play with. This one has a 9 inch throat, there was another at same price with an 11 inch, but I preferred this one. It came with a large extension table. Congrats! I have the same machine and love her dearly. She's sewed many a project and has many more to go. Congratulations. I wish you many hours of sewing happiness together.